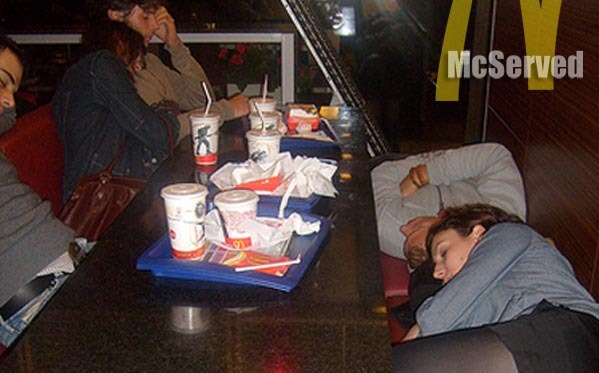 THE MCSLEEPINGS | McServed: Getting Served McDonalds Fast Food Funnies, Laughs and More! I slept at a McDs once, they asked me to leave. It was very very sad for me. McServed: Getting Served McDonalds Fast Food Funnies, Laughs and More! , Entries (RSS) , Comments (RSS).